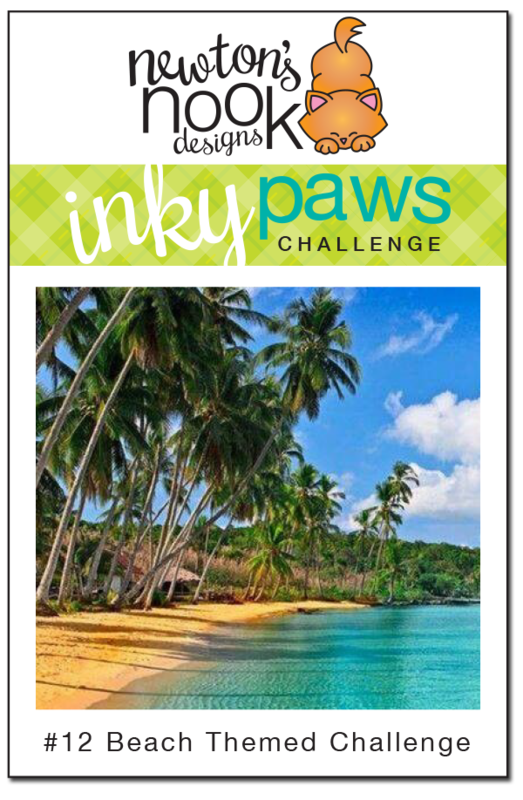 Inky Paws Challenge: Inky Paws #12 - Beach Challenge Winners! Thanks so much to everyone who entered our last Inky Paws Challenge at here at the Newton's Nook Designs blog! This months theme was a Beach Themed Challenge! Looking through all the entries made us want to take a day at the beach!! Great job & thanks to everyone who played along! Without further ado.... here is our top pick! 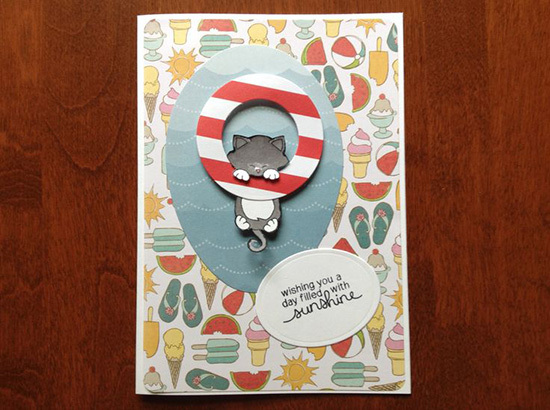 Congrats to Zoey and the Furballs (love that blog name, by the way) who made this adorable beach scene with our Newton's Summer Vacation stamp set! We just LOVED the bright coloring she used on this fun little beach scene - and the fun paper that looks like sand really gave it a nice, finishing touch! So adorable! Make sure to check out her blog, Zoey and the Furballs to see her other cards- she's showcased a lot of cute Newton's Nook Designs cards lately! Congrats Zoey and the Furballs!! Don't forget to send us an e-mail at info@newtonsnookdesigns.com to claim your $10 store credit and get your winner badge for your blog! This card by Barbara is so creative! She used our Newton's Birthday Bash set and changed the Balloon into a beach ball so he could bounce along on the beach! So fun! She also used our free digital image, but used just the sentiment from it. We thought this entry by Cindy was also a creative idea! I think she used the kitty from our Newton's Holiday Mischief set and changed instead of hanging from a wreath, he's hanging onto a life preserver! What a cute idea! She also used a sentiment from our Newton's Daydream set. Thanks again to everyone who entered - It's really so much fun to look through all the entries and see everyones ideas! If you didn't win this time we hope you'll try again next month. The new challenge will be posted on Friday, August 29.